Investors always look to focus on companies with a high level of profitability irrespective of market conditions. 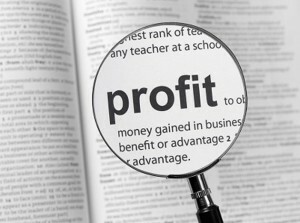 In this context, profitability analysis is used to identify a profitable company from a loss-making one. Using this analysis, we can measure the way a company is ensuring effective cost management and still providing healthy returns to its investors. These few parameters narrowed down the universe of over 7,883 stocks to only 10. FMC Corp (NYSE:FMC) is a diversified chemical company. Its average four-quarter positive earnings surprise is 8.2%. MasTec, Inc. (NYSE:MTZ) is an infrastructure construction company. Its average four-quarter positive earnings surprise is 38.3%. Select Energy Services Inc (NYSE:WTTR) is an oilfield services company. Its average four-quarter positive earnings surprise is more than 100%. Star Bulk Carriers Corp. (NASDAQ:SBLK) is a shipping company. Its average four-quarter positive earnings surprise is 17.5%. E*TRADE Financial Corp (NASDAQ:ETFC) is a financial services company. It has an average four-quarter positive earnings surprise of 7.7%. Article printed from InvestorPlace Media, https://investorplace.com/2018/05/5-best-profitable-stocks-garner-stunning-returns-ggsyn/.